Ladies and Gentlemen, welcome to our Late Night Show A Sass a Day Keeps the Bad Boy Away: The Reunion. 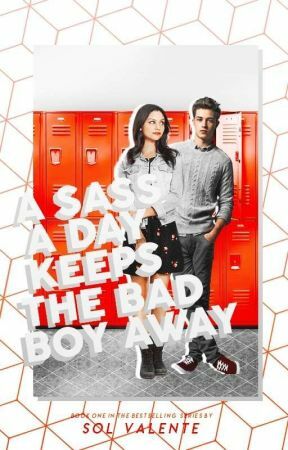 Today we are having a little chit chat with the characters of the story A Sass a Day Keeps the Bad Boy Away which will be hosted by the author herself, Sol Valente. Unfortunately, not everyone out of the cast made it to our show today, but I&apos;m positive that this evening is going to very interesting. 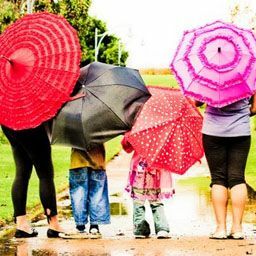 Everyone, let&apos;s welcome Noah Evans, Sofía Rivera, Lizzie Stevens, Eddy Simpson, Kyle Jensen, Jessica Weathers and Gracie Evans. Please take a seat on your assigned seats and let the show begin. Sol Valente: So, Noah, tell us. How is it like to have a reputation as a drool worthy bad boy ? Noah: It is pretty annoying. I know that many people think that this reputation is something aspirable. Let me tell you: it&apos;s not. No one ever really takes you seriously which was one of the reasons why I liked Sofía so much. She liked me because she got to know me, not because of some rumours. Sol Valente: But being the most popular guy of Summerville High School definitely had its perks, didn&apos;t it ? All of the girls swooning and everything ? Noah*gives Sofía a questioning look*: Since Sofía is in the same room as I am, I&apos;d say...no? Sofía: Ten points for Gryffindor. Eddy: Dude you are so whipped. Lizzie: Edward Reginald Simpson, I don&apos;t think that you are in the position to make fun of anybody, are you ? Sol Valente: Ouch. Not because of Lizzie but because your middle name is Reginald. I&apos;m the author of the book which means I practically invented you and even I didn&apos;t know that. If I had known that, I probably would have made it easier for you in the book by keeping Kim away from you. Sol Valente: I can sense the potential drama in here but we will probably get back to that later. Now, I will get to something that many readers are eager to find out. Jessica, what is the deal between you and Kyle ? Jessica: Well, in the book we had our differences and were constantly teasing each other but that is just a a way to express our undying love for each other. Kyle*shouts from the back*: I beg to differ. Jessica*yelling*: Shut up, Kyle ! Nobody asked for your opinion. Jessica*smiling*: He is still in denial. Gracie: Don&apos;t listen to him. You are something special. Sol Valente: Hello, little girl. How are you today ? Gracie*sighs*: I&apos;m feeling empty and alone. Sol Valente: Oh, honey. Why is that ? Gracie: It&apos;s the end of the book and I still want fish fingers. Sol Valente: I promise you that I will get you some when the show is over, alright ? Sol Valente: So, Gracie. A little birdy told me that you have two boyfriends. How come ? Isn&apos;t this pretty stressful ? Gracie: No because they are quiet as soon as you give them what they want. Sol Valente*hesitantly*: Oh and what is that ? Gracie: Cars to play with. Sol Valente: Calm down, people, and get your mind out of the gutter. Just cars, guys, nothing more. Phew, okay, Let&apos;s continue with Lizzie. What caused your sudden out burst in Chapter 17. We all know you as the shy and timid Lizzie. What happened? Lizzie: You know, I came to a point where I was really tired of being treated like I didn&apos;t matter. Being shy can be a real burden for me but when Eddy claimed me to fake all the shyness I got really angry. It&apos;s like telling a person dealing with depression to get herself or himself together and stop pretending. Accusing someone of faking something they really suffer from is one of the worst things you can do. Sol Valente: I see. Eddy is there anything you&apos;d like to say ? Eddy: I know what I did was really mean and I don&apos;t want to justify what I did but Lizzie wasn&apos;t the only one who felt horrible. I was really convinced of what I was told because it wasn&apos;t only Kim who tried to fool me. I was already betrayed in the past and I couldn&apos;t get over the fact that it happened a second time. It doesn&apos;t matter what happened in the past because I&apos;m looking forward to the future. Sol Valente: Wow. I did not expect something that honest and deep to come out of your mouth. I&apos;m truly impressed. Kyle: Quick question. Why are you the one asking us questions? Why aren&apos;t we allowed to ask you something ? Noah: Exactly. Why am I always the one who screws up ? I know, I&apos;m a boy and it seems to be a wide spread rumour that we are always the one&apos;s who screw up. Kyle: And why am I the gay best friend ? I&apos;m not homophobic, don&apos;t get me wrong, but why can&apos;t I be a bit more original. Like, seriously, this is so 2014. Sofía: Yeah. For example: is there going to be a sequel ? Because I don&apos;t think I can go through that another time. Sol Valente: Ahm...I don&apos;t know. I haven&apos;t really planned this out yet. Kyle: Really ? You have like the most cryptic ending ever, the words of one of your readers not mine, and you don&apos;t plan on making a sequel? Kyle: Again. Gay best friend. Not very original. Sol Valente: Okay, fine. Do you want to create the story ? Sol Valente*chuckles*: That&apos;s what I thought. Lizzie: So are we all making a second appearance in your sequel or not ? Sol Valente: Probably. I don&apos;t want to make any promises I won&apos;t keep in the end. I can tell you that not everyone of the initial cast is going to be in the second book but I&apos;m still working on it. Ladies and Gentlemen, we have reached the end of the show. We hope you enjoyed it and maybe see you in another episode of A Sass a Day Keeps the Bad Boy Away: The Reunion.